Don’t let a rogue business spoil your dream holiday. Always book travel through a trusted, reputable and ATAS accredited travel agent. roomsXML is a hotel wholesaler, so you probably haven’t heard of me or my company. My clients, travel agents, are the experts who build your dreams. We’ve made thousands of site visits to travel agents, fielded over 70,000 agent customer service queries and globally, had hundreds of thousands of bookings made by them through our wholesale platform. So as someone who knows, let me share with you my top 5 observations on what makes a great travel agent. 1. They are accredited and credible! In Australia, a travel agent who is ATAS accredited has been vetted against strict financial criteria and customer service standards. 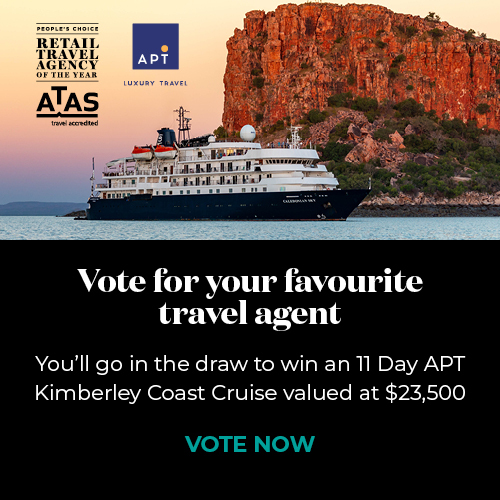 The accreditation scheme is administered by the industry body the Australian Federation of Travel Agents (AFTA), who's had over 60 years of experience in looking after the interests of travelling Australians. So make sure you look for the ATAS symbol when booking travel to know that they are affiliated with AFTA. An agent should ask for a deposit to secure your booking. For a worst case scenario, ask them what happens to your cash after they take it. Is your payment protected? Do they have insolvency insurance, have they offered any form of travel insurance ? Are they using reputable suppliers (like us!)? It sounds doom and gloom, but it’s your cash, you deserve to shop with confidence. Good agents will have the answers ready to go and take no offense at being asked. It’s not to say there aren’t some new agents who are passionate, informed and can put a great itinerary together. But generally speaking, the more experienced and established they are, the better the service you are going to receive. Ask them about their history, how they got into the industry and where they see it going. Travel is a real lifestyle profession; people are drawn to this industry because they are passionate about seeing the world, experiencing new cultures and amazing places. My advice on getting the best holiday? Ask a travel agent where they would go, where they would stay, the experience that they would put together for themselves. Let their dream holiday be yours. We built our business on the power of word-of-mouth referrals. It takes a lot of hard work, process and personalised service to consistently keep customers happy. Put simply, we do a job good enough that it’s worth talking about. It sounds better coming from our customers! So when booking your hard earned dream holiday, ask the agent if they have some testimonials at the ready to share with you whilst you make up your mind. Its something only a travel agent, not an online booking site, can deliver. Set your agent a target of earning your testimonial! From my experience, if you stick to these five key points when selecting a travel agent you can book with confidence knowing that your holiday is in the hands of a trusted, experienced and professional travel agent.